Do you remember my call to save the date back mid-August? So now William is calling for papers for the MozCamp EU and gives us more details. Dates: no changes. Still scheduled for November 12th and 13th, 2011. Overarching theme: "Many Voices, One Mozilla"
The Format for talks has also evolved. If you are an engaged Mozillian, I hope you're considering attending! William will be sending the invitations this week. I'm really looking forward this event. Like I wrote earlier, Mozilla is changing. 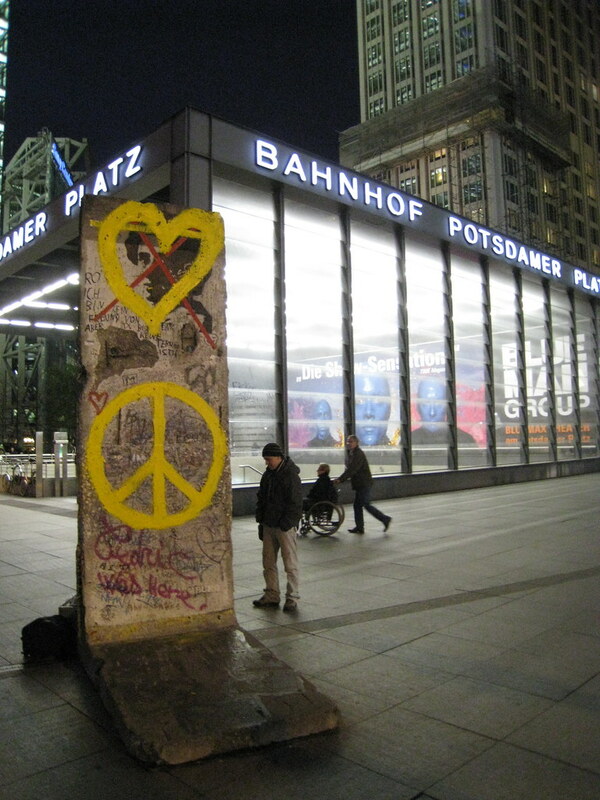 The MozCamp in Berlin will be an important moment for us as a community to discuss how we're approaching this, and what will be our respective role in the future. I hope to see you there! 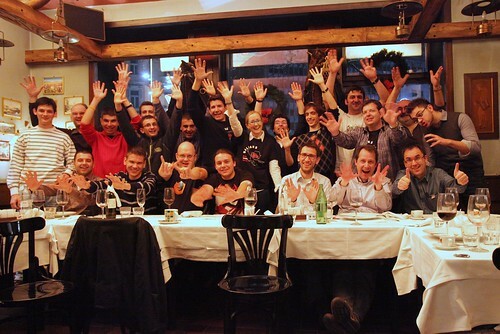 Mozilla Camp Europe 2011: save the date! I'm very excited to announce that the next Mozilla Camp Europe will take place in Berlin (Germany) on November 12th and 13th, 2011! I'm also very happy to announce that Mozilla Camp concept extends to Asia: it will take place the following week end, Kuala Lumpur, Malaysia on November 19th-20th, 2011. For those who aren't familiar with the event, Mozilla Camp (aka MozCamp) is a large 2-day regional Mozilla summit that brings together Mozilla staff and active contributors from a region for (an intense!) weekend of presentations, discussions, brainstorms, workshops, hackathons around specific areas of the Mozilla project, all with a special focus on a region. The event is, of course, also the opportunity for Mozillians to meet IRL, put a face on a lot of quirky IRC nicknames, and spent some quality time together! So mark your calendars and stay tuned! William and I will be giving regular updates and more information on the event, its schedule and the sponsorship policy for participants. Feel free to get in touch with William or myself if you have questions and/or suggestions to make these Mozcamps a huge success! I'm looking forward meeting you in person in Berlin! Our new CEO, Gary Kovacs, was on a trip in Europe last week to meet with employees (in Toronto, London, Paris and Munich) and communities (in Paris, Munich and Ljubljana). I traveled with him, Chris Beard (VP of engagement) and Mary Colvig (Head of contributor engagement). I took quite a few pictures that I posted on Flickr. The initial plan was to have a community dinner in Paris with Gary, but the weather decided otherwise (pro tip: Eurostar seems to be less reliable than airplanes when snowing), so we had to party without Gary and Chris. As you can see with the Paris pictures, we had tons of fun! The next day, we had breakfast with Gary at the Paris office, then we headed to Munich (Germany) to meet with members of the Open Source community during one of the famous Open Source Treffen organized by Tomcat. 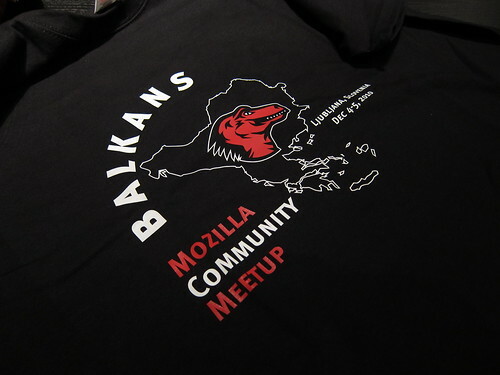 The next day took us to Ljubljana, capital of Slovenia, where William and amazing volunteers (including Milos Dinic, Brian King and Matjaž Horvat organized the Mozilla Balkans Community Meetup, where 9 communities from the Balkans were represented. Our visit was a surprise to the community members, and the dinner was a lot of fun! William Quiviger, ancien de Fon.com, vient de rejoindre Mozilla, où il s'occupera du marketing communautaire en Europe. Bienvenue chez les fous, William ! (Jane en parle, et William se présente sur son blog). De nombreux lecteurs m'ont envoyé un lien vers cet article : Le logiciel libre traqué par les annonceurs publicitaires, me demandant si effectivement, Mozilla était poursuivi en justice pour cause de blocage de pop-ups et d'extension Add-Block Plus. Soyons clairs : cet article est humoristique (avec un aspect pédagogique certain). Donc non, Mozilla n'est pas poursuivi en justice pour permettre le blocage des publicités ! Ca devient évident quand on lit la totalité de Clic de droite, blog satirique visant, si j'ai bien compris, à dénoncer la volonté de contrôler la vie privée des utilisateurs de technologies communicantes. La lecture de ce blog donne à réfléchir ! Jeudi dernier, aux Buttes Chaumont s'est tenu un Pique-nique Mozilla, avec les employés, les stagiaires et les membres de la communauté. Nous avons (encore) fêté la sortie de Firefox 3 en trinquant, et c'était vraiment sympa ! On avait deux polonais, une anglaise, une ukrainienne (et peut-être d'autres nationalités, à dire vrai je n'en sais rien) !